My name is Randy Seaver and I started this site. Our family tree is posted online on this site! There are 91637 names in our family site. The site was last updated on Apr 3 2019, and it currently has 33 registered member(s). If you wish to become a member too, please click here. Enjoy! 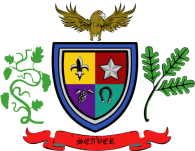 Randy Seaver added Rosina Laun , Isaac Lanfear and Unknown Lanfear to family tree: RandySeaverAncestors-2011-master. Randy Seaver updated the details of Rosina Laun , Isaac Lanfear , Unknown Lanfear , Devier James Lamphear Smith and 2 other people in family tree RandySeaverAncestors-2011-master. Randy Seaver updated the details of Sarah Fletcher in family tree RandySeaverAncestors-2011-master. Randy Seaver updated the details of Oletta I. Baughman in family tree Randy Seaver Genealogy Research - October 2018 Tree. Randy Seaver updated the details of Torgeir Olsen in family tree Randy Seaver Genealogy Research - October 2018 Tree. Randy Seaver updated the details of Thomas Richmond in family tree Randy Seaver Genealogy Research - October 2018 Tree. Randy Seaver imported a family tree from a GEDCOM file: Randy Seaver Genealogy Research - October 2018 Tree. Randy Seaver updated the details of <Private> S in family tree RandySeaverAncestors-2011-master. Randy Seaver added <Private> S to family tree: RandySeaverAncestors-2011-master. Randy Seaver imported a family tree from a GEDCOM file: Greg Cox tree - August 2018. Samuel Gelfand submitted a request to become a member. Randy Seaver updated the details of <Private> Seaver in family tree RandySeaverAncestors-2011-master. Randy Seaver added <Private> Seaver to family tree: RandySeaverAncestors-2011-master. Randy Seaver updated the details of <Private> Hafk , <Private> Hafk , <Private> Hafk and Louis Hafk in family tree RandySeaverAncestors-2011-master.